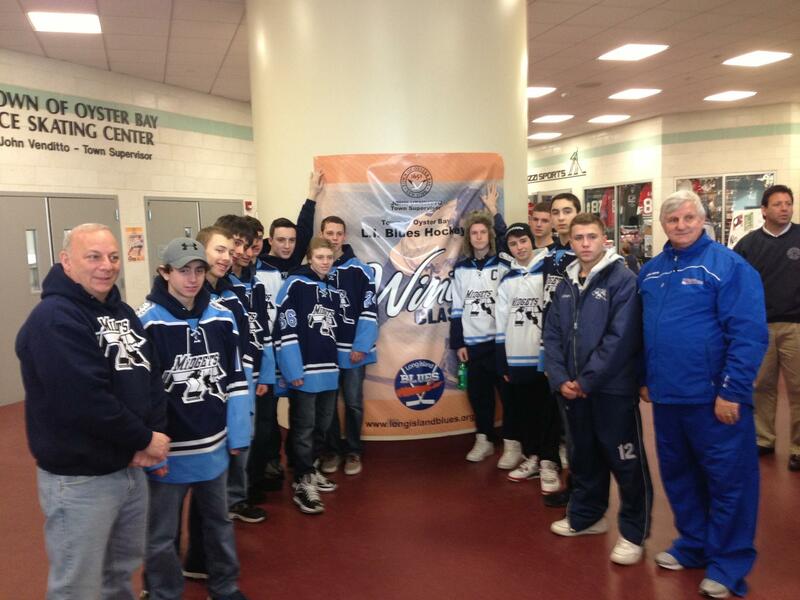 In addition to creating good hockey players, PAL Hockey strives to help our players become good citizens. Toward that end our organization has all of our teams select a community service project for all their players to participate in. Through doing for others, our players learn valuable life lessons that will serve them well in their years to come. See below for a description of each team's project for the 2012-2013 season as well as link to pictures. 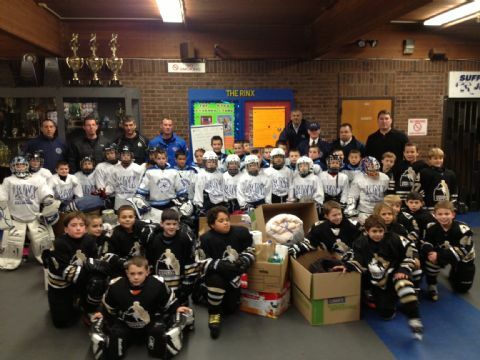 PEEWEE AAA MINOR - The Peewee AAA minor team conducted a food, clothing, and cleaning supply drive for the victims of Hurricane Sandy. BANTAM AAA MINOR - Participated in the NY Islander " hockey with a heart " program and the collection of food and clothing for the victims of Hurricane Sandy. BANTAM AA - The Bantam AA team is conducting a collection for the North Shore Animal League. 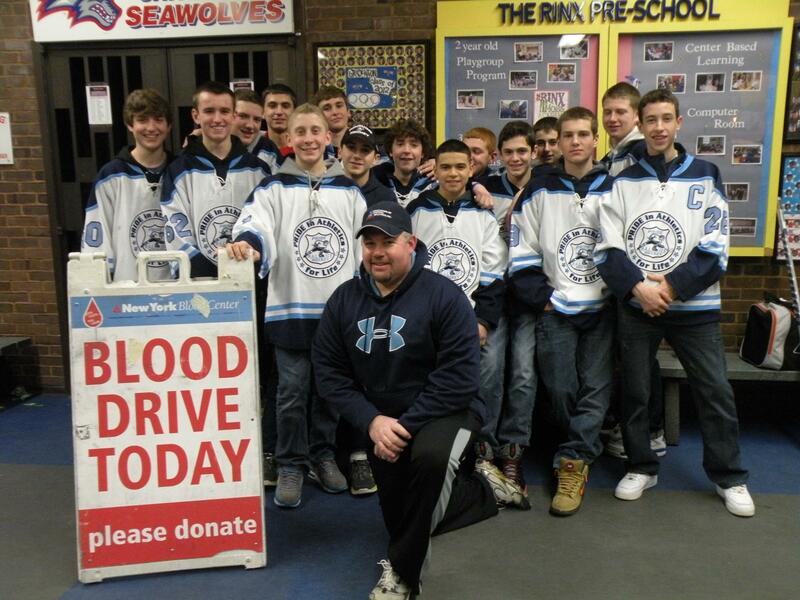 MIDGET 16U AA - On January 29, 2013 Coach Dave Cross and the Midget 16U AA team were proud to host the PAL Annual Blood Drive. MIDGET 18U AA - Tuesday, November 27, 2012 4 PM - 8 PM, The PAL Midget 18U team is partnering with McDonald’s in Patchogue to raise funds which will be donated to Long Island Cares to help those in need from the devastating effects of Hurricane Sandy. The 18U team will be at McDonald’s working in various capacities during the dinner hours of 4 PM – 8 PM on 11/27/12. McDonald's will donate 15% of the money brought in during that time to Long Island Cares for their hurricane relief efforts.